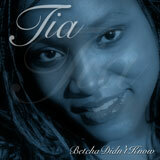 The first lady of Lovett brings the heat with her debut single Betcha Didn't Know. This release includes a down-tempo groove Betcha Didn't Know, sure to be a hit and Take Me Home, the other track. S.L.A.V.E. got something for those that like to chief out. 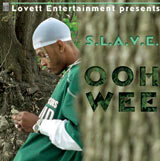 Ooh Wee, the debut single from Lovett lyricist S.L.A.V.E. is a mellow piece that is a must play when you are ready to put somethin' in the air. "I'll Always Be Part I"
As a message that goes out to victims of E2's, Rhode Island, Iraq and suffering in general, "I'll Always Be Part I" is intened for people to understand that loss of life is felt around the world. Music sensation Shado lends his strong vocals to a mellow track. The track was produced by B Crucial who has done work for Cash Money/Universal. The combination puts you in a frame of mind that conveys compassion, sympathy and unserstanding; the things needed to deal with the grief in our world. The things that everyone needs. "I'll Always Be Part I The Videos"
© 2003 Lovett Entertainment, Inc. All Rights Reserved.